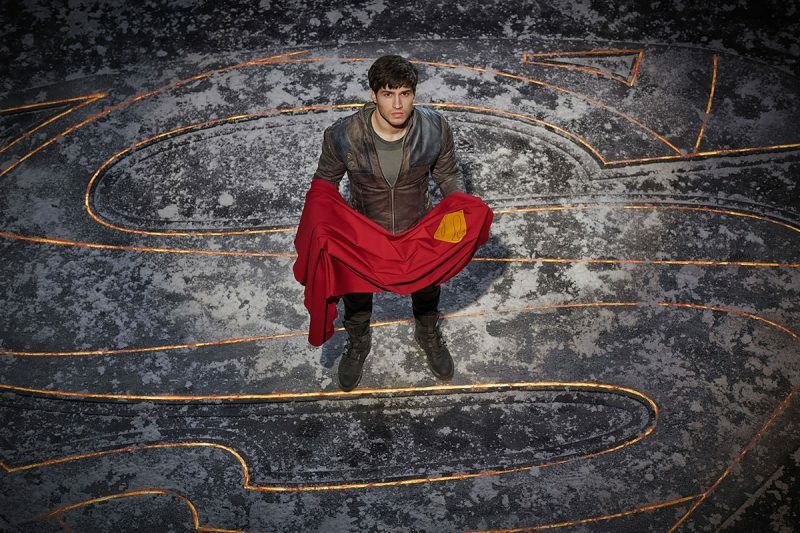 The new Syfy series Krypton, based on the story of Superman’s ancestry, will premiere this month. Syfy has been pulling all the stops to prepare you for the adventure. The series is set two generations before Krypton was destroyed. It tells the story of Kal-El/Superman’s grandfather, Seg-El (Cameron Cuffe), who is confronted with the decision to save his home planet or allow the inevitable take its course to secure Superman’s legacy on Earth. With House of El stripped of rank, Seg-El must redeem his family’s honor and protect the ones he loves from familiar villains such as Brainiac (Blake Ritson) and the House of Zod. In the featurette, we are introduced to the cast and some familiar faces in the DC family, such as DC co-publisher and artist Jim Lee and DC writer Scott Snyder. The feature also includes Superman’s archives and clips from the new series, including a glimpse at the villain, Brainiac. Produced by David S. Goyer (Man of Steel, Batman vs Superman: Dawn of Justice, and The Dark Knight Trilogy), Krypton also stars Georgina Campbell, Shaun Sipos, Elliot Cowan, Ann Ogbomo (World War Z), Rasmus Hardiker, Wallis Day, Aaron Pierre and Ian McElhinney. Cameron Welsh serves as showrunner. Krypton premieres on Wednesday, March 21st on Syfy.